Please, behold the future of New Tabs! Get accurate date and time based on your current location. Check your Gmail inbox right from the start page and never miss an important email again. Get quick links to most visited sites, recently closed pages and bookmarks in a single widget. It is always better to write things down instead of remembering them. Create your own checklist and never forget about important tasks. Accurate weather forecast based on your location so you never forget your umbrella at home again. Receive notifications for all events you have set in your Google Calendar. CoolStart offers an extensive gallery of different wallpaper themes in order to match your mood. You can easily go back and forth between installed themes, and enjoy our beautiful wallpapers. We believe that just like everything in the world browsing experience is evolving. Firstly, tabs were developed to optimize browsing space. Opening new tabs became a main step in users’ browsing work flow. Our team found opportunity to improve it and change the way people use their new tabs. 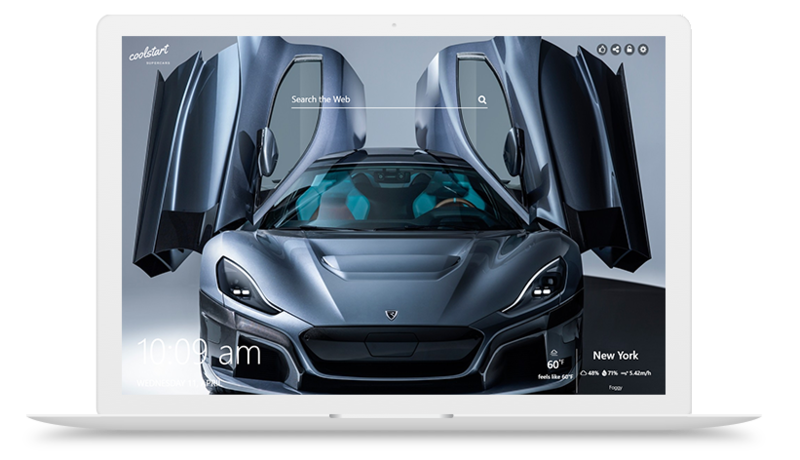 We believe that bringing crucial pieces of information to the front, right on your new tab, will make the experience much more pleasant. Just like the Start Screen of your mobile device, CoolStart gives you a high start of browsing the web.